This is one of the first paintings which I have not fussed over and end up over painting. That is a good feeling! Paint it! Leave it! On to the next canvas! Painted Paln to the next canvas! 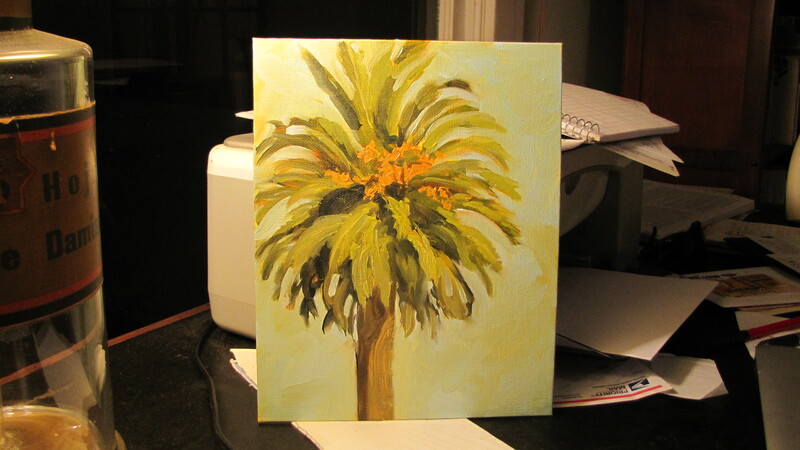 Thanks for painting the palm on canvas. I got home and love the painting in my house. My thoughts are with you about your dog. Hope to see you again in Santa Barbara.